Imagine using a straw to drink juice from a glass. Let's examine how they interact. After you've installed your software, you need to use QuickBooks® to create a data file (which is a *.QBW file). Now, this data file is just a file on its own, like any ordinary spreadsheet file (e.g., *.xlsx) or document file (e.g., *docx, *txt). But in order to read and write on a QBW data file, you need to use QuickBooks® (program). As QuickBooks® data file is a file on its own, you need to store it somewhere. The file location is therefore just a folder where you save the file in, just like a glass to hold your juice. At the Introductory class, you will then learn how to use QuickBooks® for your basic accounting. 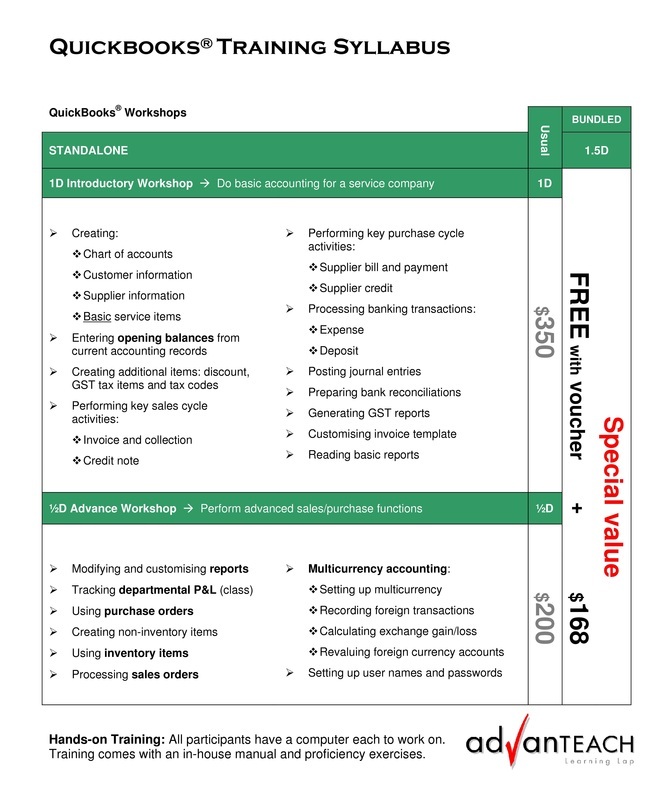 Use your Introductory voucher to register for the Advance class and improve your accounting with QuickBooks® by activating extra modules.